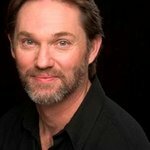 Richard Thomas is best known as John-Boy Walton in the CBS drama The Waltons. He is active in the fight against meningitis, a vaccine preventable disease. Google trends for "Richard Thomas"
We don't have any videos related to Richard Thomas.